The City Council recently approved the zoning map for a new urban development — The Estates — featuring high-end infrastructure and a modern atmosphere for its citizens. Soon after, the banks awarded millions of dollars in loans to six real estate investment firms to help develop this new area - and they're not afraid to play a little fast and loose with the zoning laws. An auction game for players who aren't afraid to bulldoze their opponents, players can sabotage, outdeal, and cut out their opponents to their heart's content. A game of The Estates lasts around 40 minutes and can be played in several rounds to experience a shifting economy. 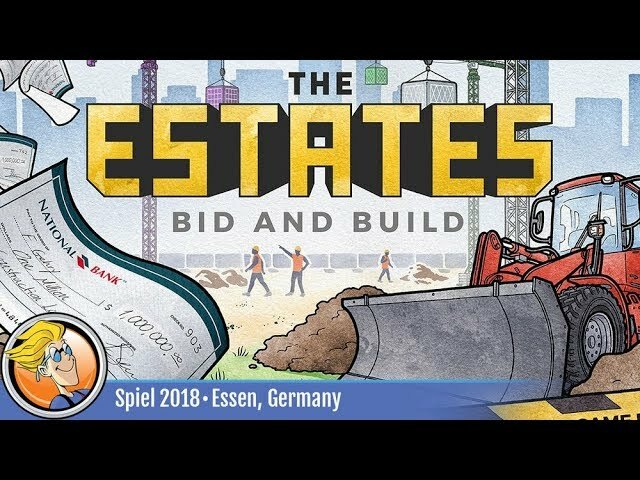 Buy The Estates for a cut-throat auction game of real estate, construction, and sabotage.